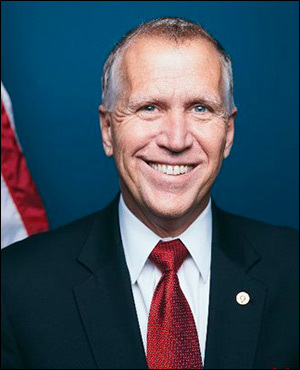 March 15, 2019 — According to an article in The Hill newspaper earlier this week, North Carolina Sen. Thom Tillis (R) may be headed for a serious Republican primary battle next year. The article, written by The Hill reporters Scott Wong and Alexander Bolton (THE HILL: GOP’s Tillis comes under pressure for taking on Trump), details several local Republican county chairmen expressing displeasure with Sen. Tillis’ stand against President Trump’s emergency declaration for the southern border situation. The article also points out that Sen. Tillis led the Republican efforts to protect Independent Counsel Robert Mueller’s role in investigating the president over possible Russian collusion and other tangential issues. This is yet another issue stance that pits Sen. Tillis against his Republican base. The article suggests that three-term Rep. Mark Walker (R-Greensboro) could be testing the waters to make a senatorial run, reporting that the congressman has conducted a statewide poll. According to the Walker Camp only Rep. Mark Meadows (R-Skyland/ West Asheville) has higher name identification among the delegation members. At this point, Congressman Walker appears not to be eliminating any political option. 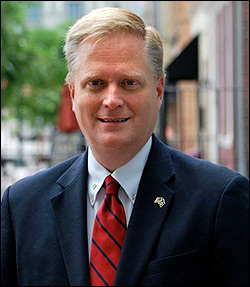 During the 2016 US Senate campaign, Sen. Richard Burr (R) indicated that he would not seek re-election after he completes his third term in 2022. Therefore, Walker may be looking not so much at a primary challenge to Sen. Tillis but could already be preparing for an open seat run three years from now. 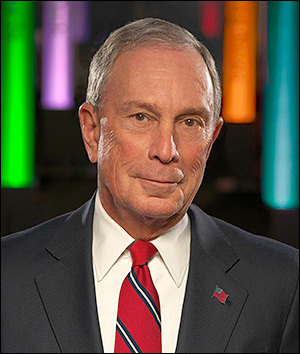 March 8, 2019 — Former New York City Mayor Michael Bloomberg’s decision earlier this week not to enter the Democratic presidential race becomes the first major surprise move of the early campaign. It was clearly expected that he would become a candidate. After all, he was talking about committing $500 million of his own money to the effort, he’d hired key campaign staff, designed a presidential campaign logo, and even organized an announcement tour beginning in his birthplace of Boston, Massachusetts. Speculation continues to surround former Vice President Joe Biden’s decision regarding whether or not he may also ultimately decide to take a pass on the race; Bloomberg’s reasoning provides us a key clue that at least he thinks Biden will soon form a campaign. So far, 11 Democrats have become candidates with two more filing exploratory committees. The pair remaining in pre-candidate status are Sen. Kirsten Gillibrand (D-NY) and Rep. Tulsi Gabbard (D-HI). It is conceivable that one or both of the latter women could decide not to become candidates. Rep. Gabbard has run into organizational trouble, is being attacked for her foreign policy positions, and now has drawn serious primary opposition for her congressional seat. Just recently, state Sen. Kai Kahele (D-Hilo) has earned public endorsements from former governors and key Hawaii Democratic Party leaders. While many in the media cast Sen. Gillibrand as a top-tier candidate, she has gone nowhere since her exploratory announcement, failing so far to even break one percent in any released poll. March 7, 2019 — Three prominent potential Democratic presidential candidates, almost in unison, just said they would not join the 2020 campaign. Two of the decisions were expected, but the third was a surprise. Former New York City Mayor Michael Bloomberg, who had hired a staff, was in the process of designing a presidential campaign logo, and planning an announcement tour to begin in his birthplace city of Medford, Mass., said late Tuesday afternoon that he would not seek the presidency in 2020. Instead, he will devote his efforts to founding a new organization entitled, “Beyond Carbon,” with the goal of virtually ending America’s reliance on oil, gas, and coal by the year 2050. He said he believes, through this group, that he can best help to defeat President Trump. Former secretary of state, US senator, First Lady, and 2016 Democratic presidential nominee Hillary Clinton also confirmed that she will not be a candidate next year but will remain active on the political scene. This result was more expected even though speculation had increased recently that she might again become a presidential candidate. Sen. Jeff Merkley (D-OR), another potential presidential candidate, announced that he will seek a third term in the Senate, which kills any chance of his entering the presidential campaign. His fate was virtually sealed when leaders of his own party, including Gov. Kate Brown (D-OR), refused to change Oregon election law to allow an individual to simultaneously run for more than one office. The Bloomberg move could have an effect on the overall campaign and may be a signal that former Vice President Joe Biden will soon be entering the race. Reports suggest that Bloomberg believed his path to the party nomination involved appealing to the more centrist element of the Democratic Party, a segment where Biden is strong.